Wow. Just simply wow! CirqueLouis has outdone themselves with the hosting of their second large production of 2017, Kaleidoscope, on November 3rd & 4th at the Kentucky Center for the Arts. 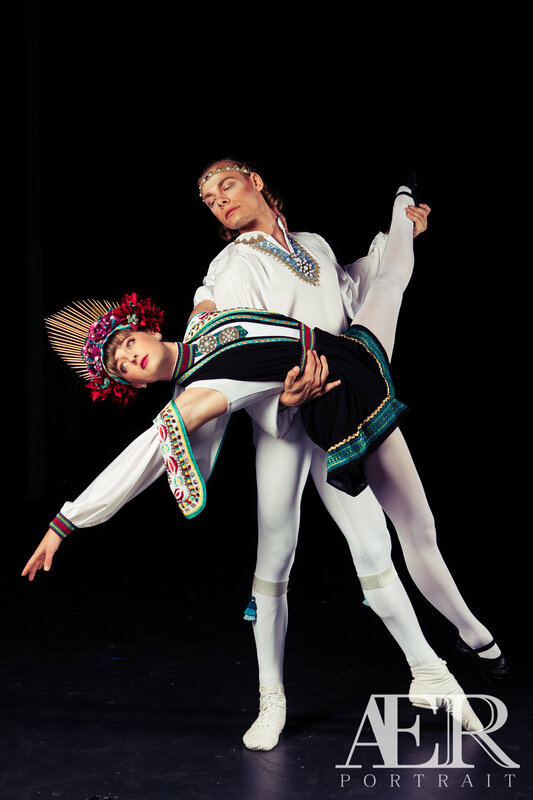 On June 9th and 10th, CirqueLouis' production of East of the Sun, a Norwegian fairytale that has similarities to the story of Beauty and the Beast, invited the audience at Iroquois Amphitheater to follow Rose as she travelled in search of her lost love. 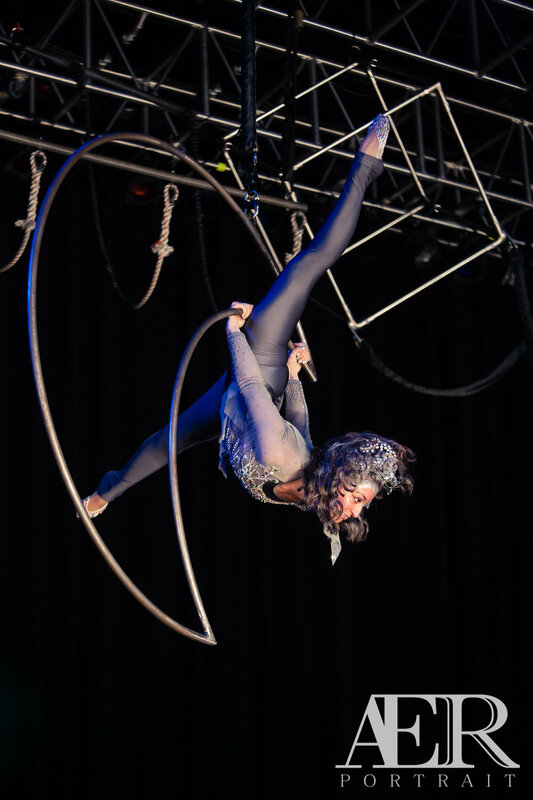 Once again, CirqueLouis has outdone themselves with amazing costuming, makeup, choreography, and a variety of new circus acts including a custom made moon-shaped lyra. Circus season is back! Louisville Turners hosted their first revue of 2017, Fireside. The evening was full of performances from mostly students and just a couple of instructors at Turners showcasing their skills on silks, lyra, and pole. This was the last showcase before Turners' annual circus; A.K.A. my last chance to get back in the groove of photographing a live aerial arts performance. There were some definite signs of rust early on in the show but, all in all I captured some great images of these talented performers! Next stop, Louisville Turners Circus: Stagecoach! Preview from my recent photoshoot with Marcalley. We spent all morning yesterday wandering around downtown capturing some amazing images and below is just a quick preview of what were able to create. More to come later! I had the opportunity to photograph one of CirqueLouis' Aerial Beasts once again! Laura and I met up at Lexington's Bella Forza Fitness this weekend to open up the Flight collection of my Fitness meets Art series. Laura is an extremely talented aerialist and I can't wait to work with her again in the future! Check out the rest of the images in the post! Circus Season 2017 is here! Rehearsal for Louisville Turners Circus' annual circus is underway! All of the performers have been sharing their excitement for the upcoming months on social media so I thought I would join in! 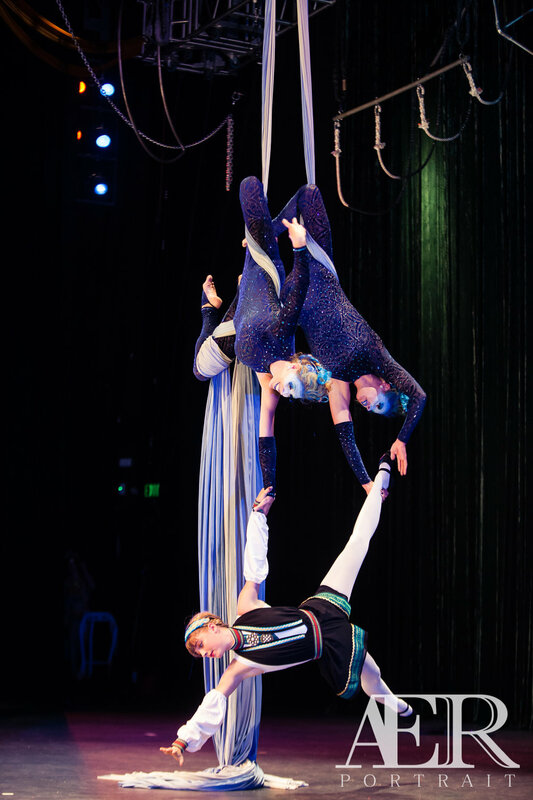 Check out some of my favorite images from previous circuses! Photography, like most other things in life, is never truly mastered. There are always skills that need honing, new techniques that can be learned, and not to mention having to keep up the ever changing technology in the photo world today. For me, creating personal projects is the best way to try out new things before bringing them onto a shoot for paying client. It's my opportunity to experiment, fail, and learn from my mistakes, so that when it comes time to put incorporate something new into a job it goes off without a hitch. In the past, these projects have typically been their own standalone collection of images. With the recent inception of AER Portrait and with the help of my amazing friends at CirqueLouis, I have created the beginnings of a new photo series: Fitness meets Art. From very early on in my photographic journey, I have been inspired by ESPN's Body Issue images. Fitness meets Art will have a similar theme as the images for this series will focus heavily on the bodies of performers. 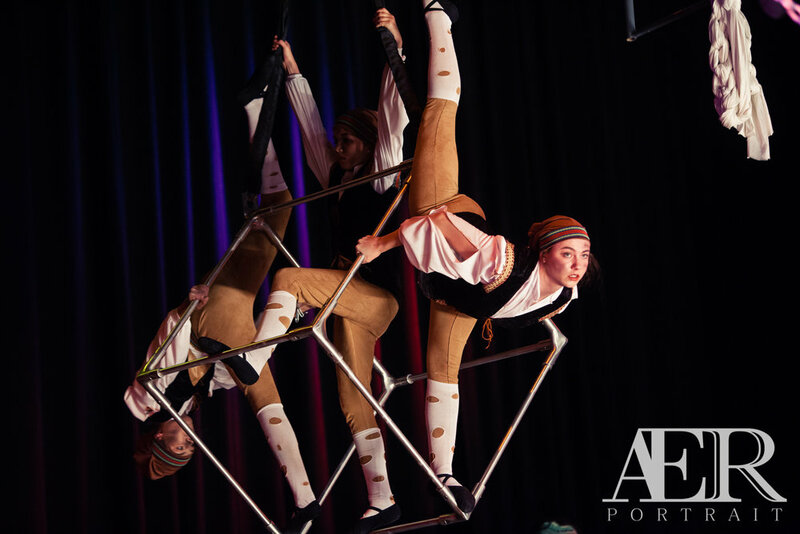 This series is all about showcasing the strength and conditioning that is required to pull off the amazing moves that aerialists, dancers, and other performing artists showcase during a performance. This series will be sub-divided into three collections: Focus, Flow, and Flight. Focus is all about capturing the level of strength and fitness that these performers have achieved in order to perform all of these truly breath-taking moves in the air and on the ground. 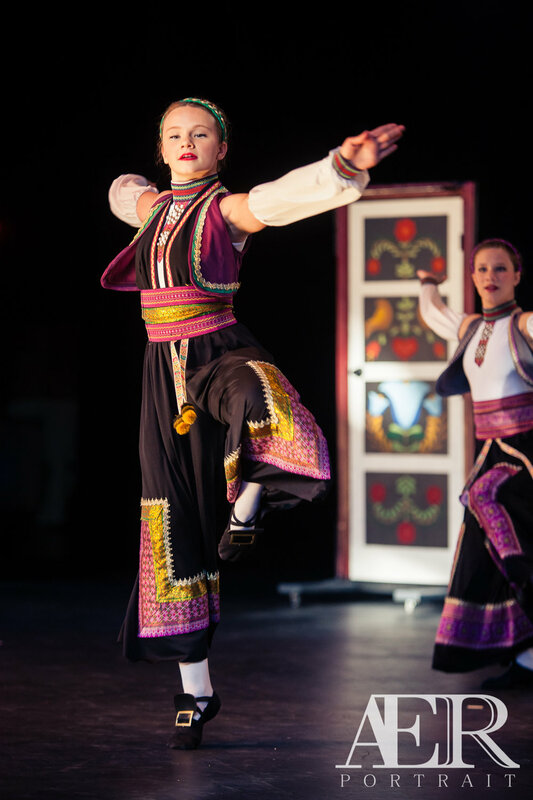 Flow will showcase the graceful and precise motions carried out by dancers and ground performers throughout their performances. And last but not least, I cannot forget about the performers that soar high above the stage. 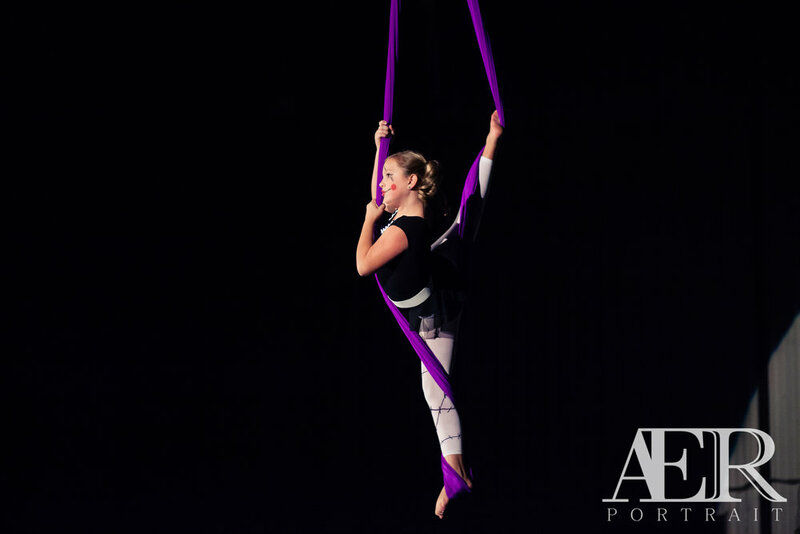 Flight is all about capturing the beauty and strength that is put into every aerial routine. 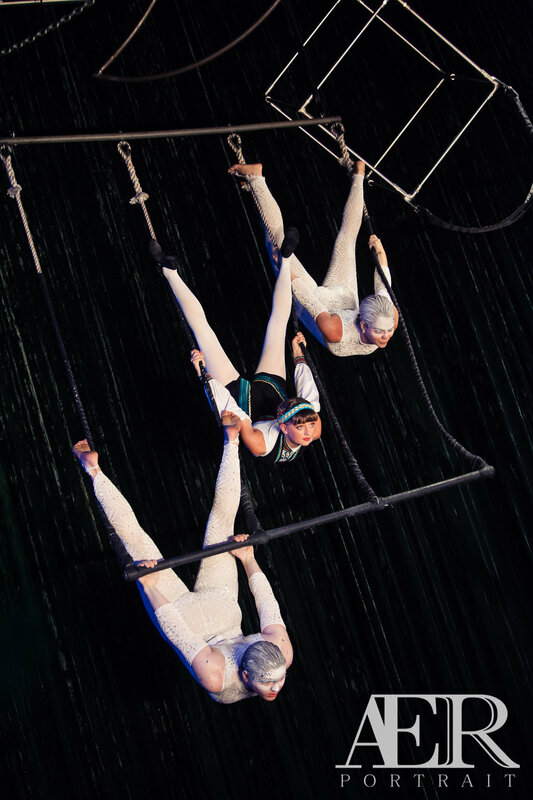 The Aerial Beasts of CirqueLouis were the modes for the first in a collection of the series Fitness meets Art by AER. 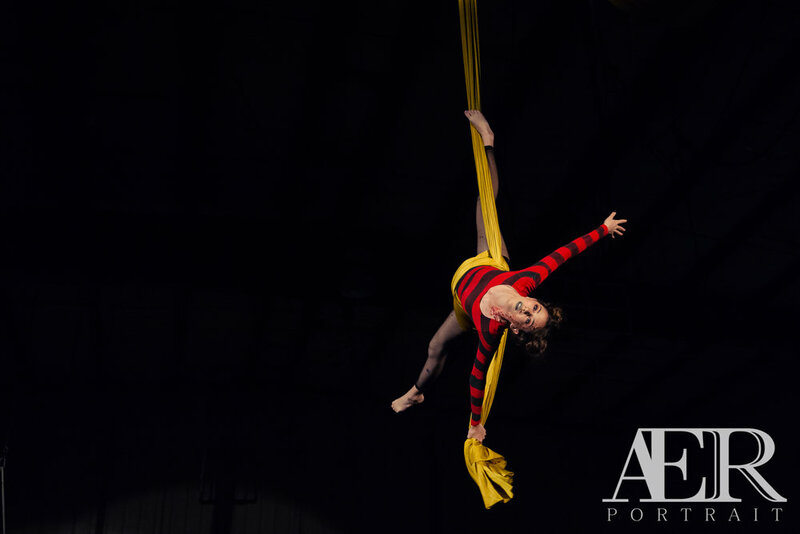 The Aerial Beasts are a group of women who have dedicated their passion and drive to performing aerial circus arts in the Louisville area. The training for some has lasted a majority of their lives; others have a newer start but train hard with a personal work ethic unmatched. All learn and perform with a devotion to their art form and the way it’s presented to their audience. "CirqueLouis was honored to be chosen for a collaborative art project for the brand new concept photography company, AER Portrait. Working together with Alex, founder and photographer of AER, we are capturing the difference aspects of training our performance art - from ground to air, practice to performance, and everything in between." I'm excited to see this series grow and develop over the next several months. Check out the amazing Aerial Beasts below! 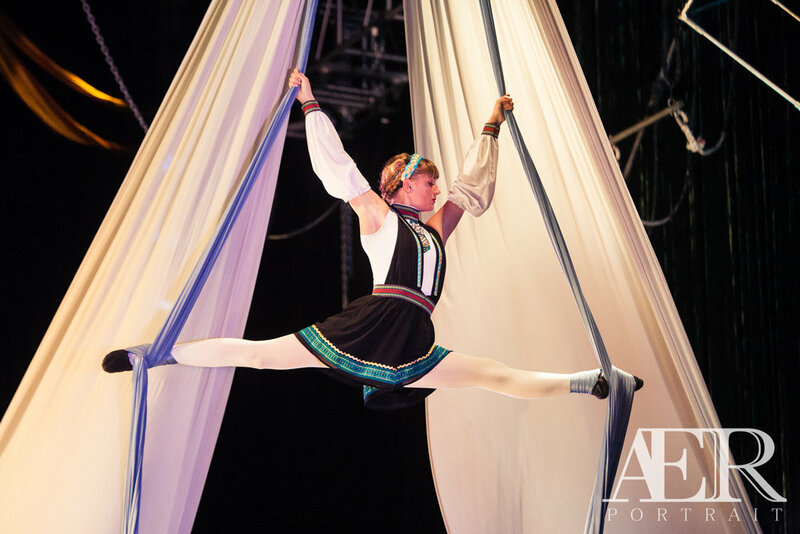 Friday night, CirqueLouis' production of Pinocchio dazzled the sold out crowd at the Kentucky Center for the Performing Arts' Bomhard Theater. I have been excited to see this show ever since I filmed the promotional video back in early November. While at the time choreography was still in a "draft" state, I knew that the show was going to be great and I could not wait to see and photograph the final production! 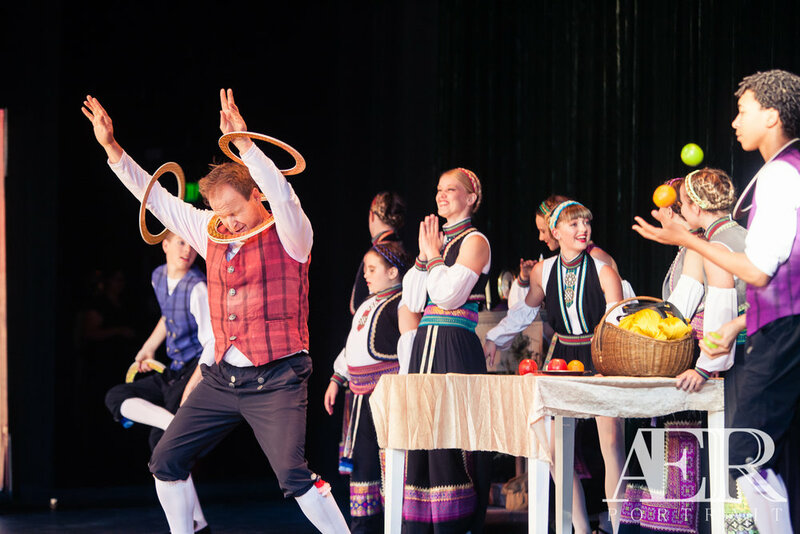 Incredible costumes and make-up complimented the already amazingly talented performers flying through the air in their rendition of the century old Italian fairy tale classic. The level of detail that went into each character's appearance was on a level never before reached by CirqueLouis. 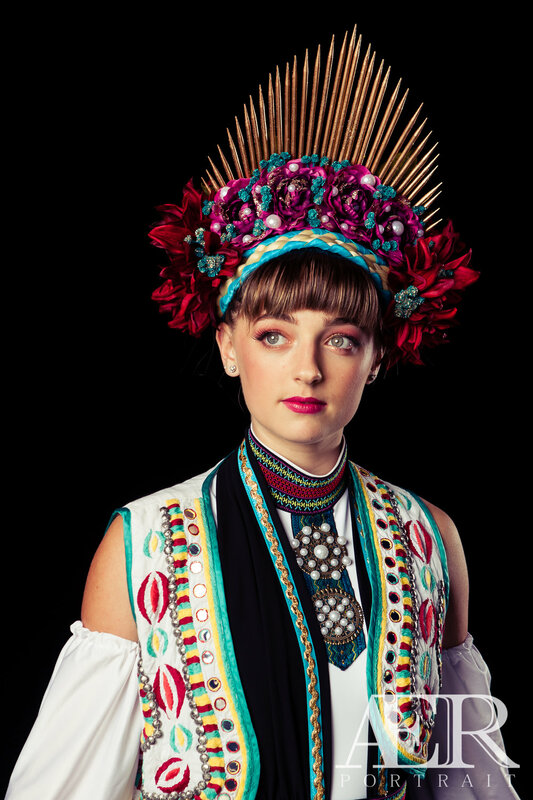 Creative director Christine Moondancer's has true talent for costume design. It's incredible to see her visions come to life. Make-up artist Katrina Gay spent roughly six hours getting everyone's make-up on prior to the show. She then followed up those long hours by touching up faces as needed throughout the show and then going out on stage herself to perform in the Land of Merriment scene in Act 2! It has been incredible to watch CirqueLouis explode onto the Louisville Performing Arts scene in its short year and half long history! 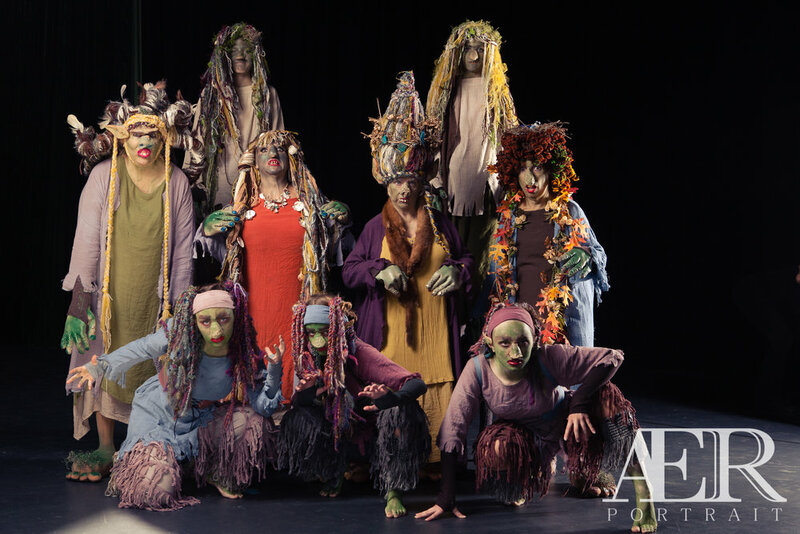 Congratulations to Christine Moondancer, Abbie Springer, Lynley Elliot, and the rest of the CirqueLouis cast and crew on another incredible performance! I cannot wait to see what new tricks they have up their sleeves for their next show in June 2017! Aer Portrait is a photography brand dedicated 100% to the performing arts. Over the past couple of years I have been photographing more and more performers and shows with no real home for my work. Finally, with Aer I have a dedicated space to showcase my photography but also, to reach out into the performing arts community to collaborate with more performers and showcase their talents in creative and dramatic imagery.